It looked like Supernatural was headed for cancellation when it was sent packing to Friday nights. It performed well enough in the ratings that The CW decided to move it back to a regular weeknight. Will the series continue to be one of the network’s best performers? Stay tuned. 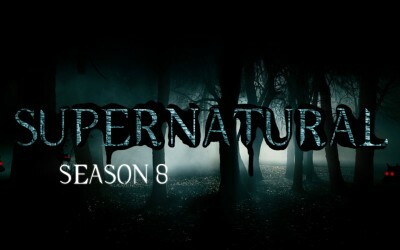 The eighth season of Supernatural typically airs Wednesday nights on The CW network. It features the talents of Jared Padalecki, Jensen Ackles, and Misha Collins. Below are the TV show’s ratings for the 2012-13 season, the best way to tell if Supernatural will be cancelled or renewed for season nine. Final season averages: 0.9 rating in the 18-49 demographic with 2.13 million total viewers. 1.0 in the demo (0% change) with 2.31 million (+12% change). Season averages: 0.92 in the demo with 2.13 million. 1.0 in the demo (+11% change) with 2.07 million (0% change). Season averages: 0.92 in the demo with 2.12 million. 0.9 in the demo (-10% change) with 2.07 million (-13% change). Season averages: 0.91 in the demo with 2.12 million. 1.0 in the demo (+25% change) with 2.38 million (+25% change). 0.8 in the demo (-20% change) with 1.90 million (-15% change). Season averages: 0.91 in the demo with 2.11 million. 1.0 in the demo (0% change) with 2.23 million (+3% change). 1.0 in the demo (+11% change) with 2.16 million (+1% change). 0.9 in the demo (0% change) with 2.13 million (+1% change). 0.9 in the demo (-10% change) with 2.10 million (-13% change). 1.0 in the demo (0% change) with 2.41 million (+5% change). UPDATE: The show has been renewed for a ninth season by The CW. 1.0 in the demo (+11% change) with 2.29 million (+8% change). Season averages: 0.90 in the demo with 2.10 million. 0.9 in the demo (0% change) with 2.12 million (+6% change). Season averages: 0.89 in the demo with 2.08 million. 0.9 in the demo (0% change) with 2.01 million (+1% change). 0.9 in the demo (0% change) with 1.99 million (-3% change). 0.9 in the demo (+13% change) with 2.06 million (+3% change). Season averages: 0.89 in the demo with 2.09 million. 0.8 in the demo (-20% change) with 2.00 million (-14% change). Season averages: 0.89 in the demo with 2.10 million. 1.0 in the demo (0% change) with 2.33 million (0% change). Season averages: 0.90 in the demo with 2.11 million. 1.0 in the demo (+25% change) with 2.32 million (+30% change). Season averages: 0.88 in the demo with 2.08 million. 0.8 in the demo (+14% change) with 1.78 million (-4% change). Season averages: 0.86 in the demo with 2.03 million. 0.7 in the demo (-30% change) with 1.86 million (-13% change). Season averages: 0.88 in the demo with 2.09 million. 1.0 in the demo (0% change) with 2.13 million (-15% change). Season averages: 0.93 in the demo with 2.16 million. 1.0 in the demo (+25% change) with 2.51 million (+36% change). Season averages: 0.90 in the demo with 2.18 million. Season average: 0.80 in the demo with 1.85 million. The eighth season premiere’s demo was on par with last season’s Friday night debut. It was down by 8% in viewership. It’s difficult to judge this opening considering that it was airing opposite the Presidential debate on the four other networks. What do you think? Do you still like the Supernatural TV series? Do you think it should be cancelled or renewed for a ninth season? I love Supernatural it’s an ingenious show with a great cast. Never ever, ever cancel this show! Everyone keep watching!!! : ) best show on television! There is NO other show that is as good as supernatural! Screw the ratings. Supernatural IS, WAS and will ALWAYS be the best show ever!